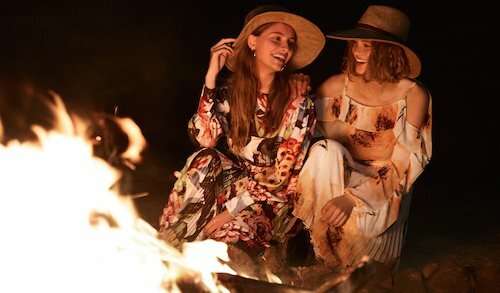 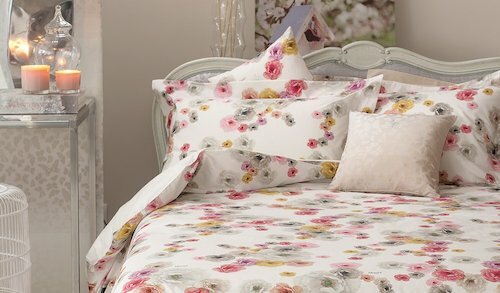 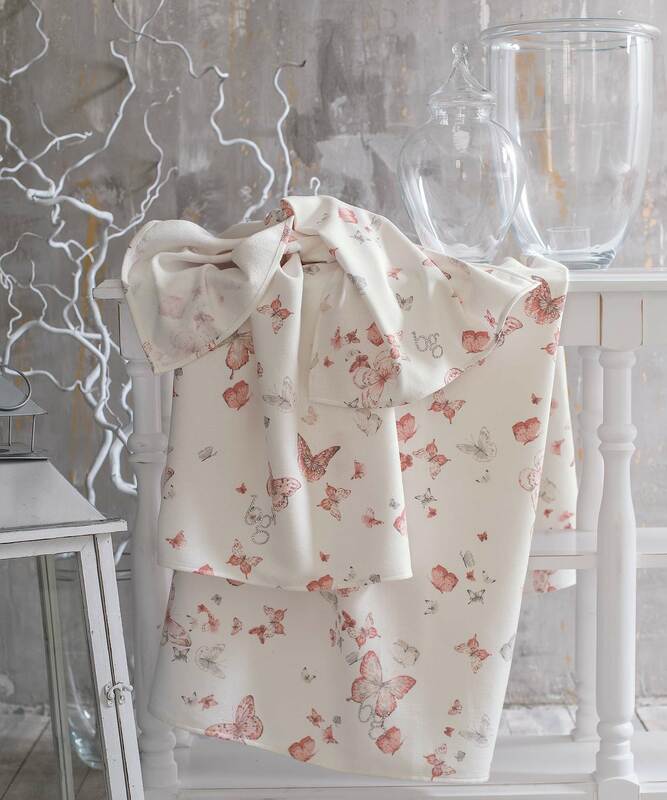 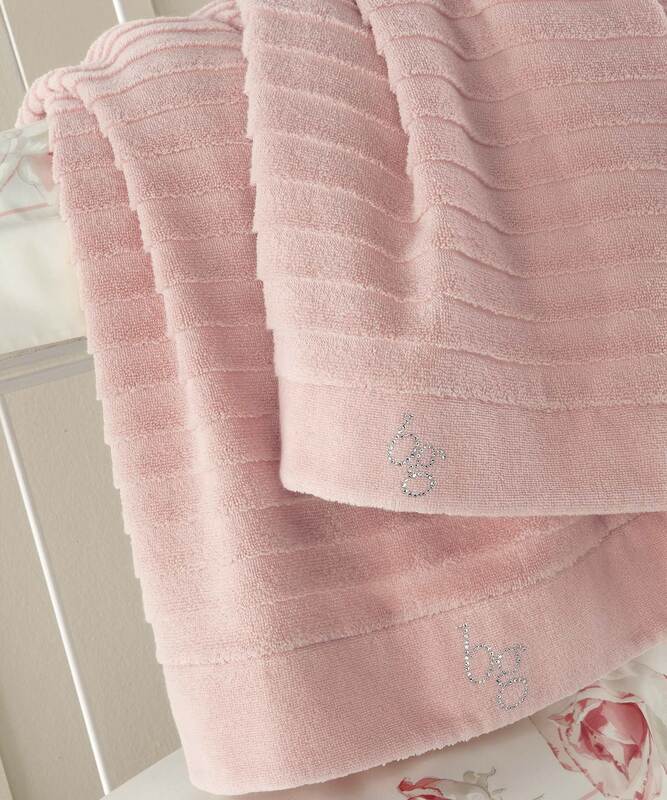 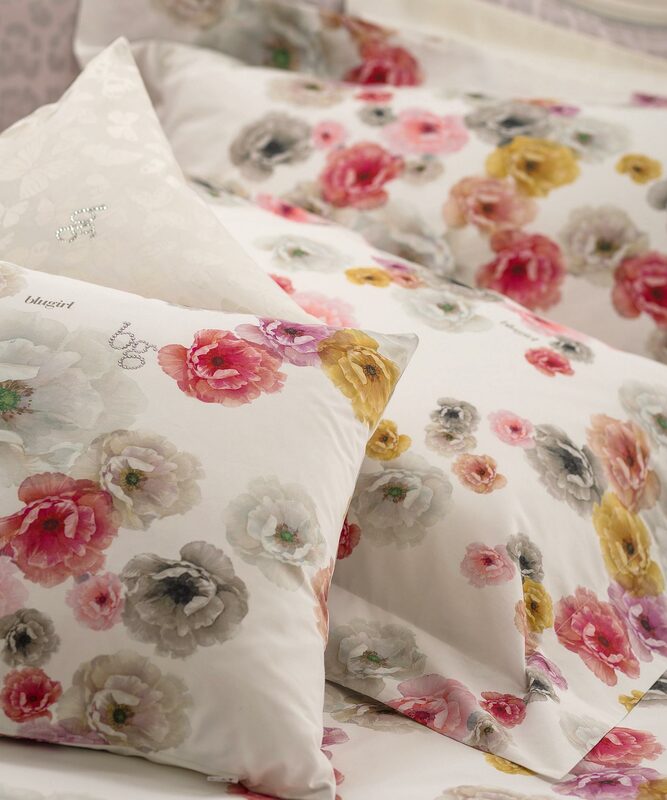 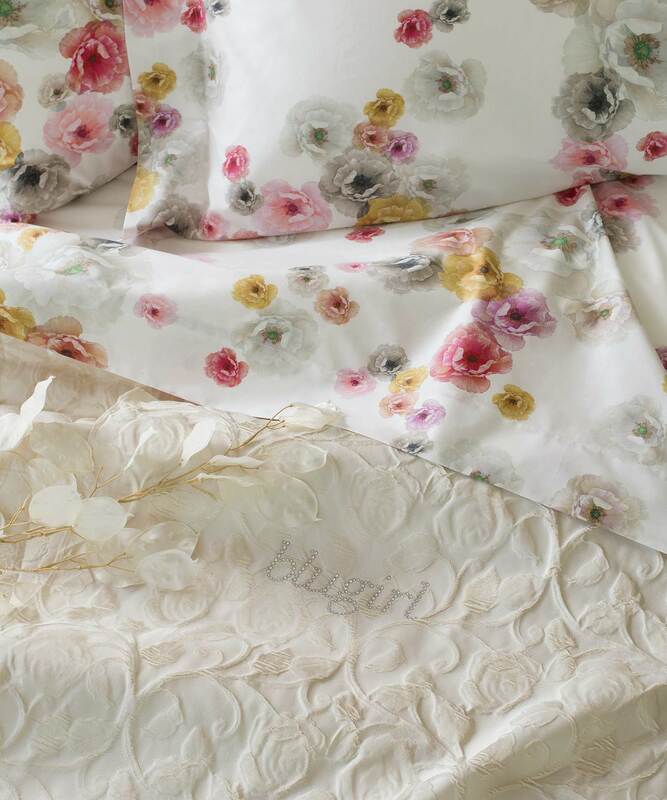 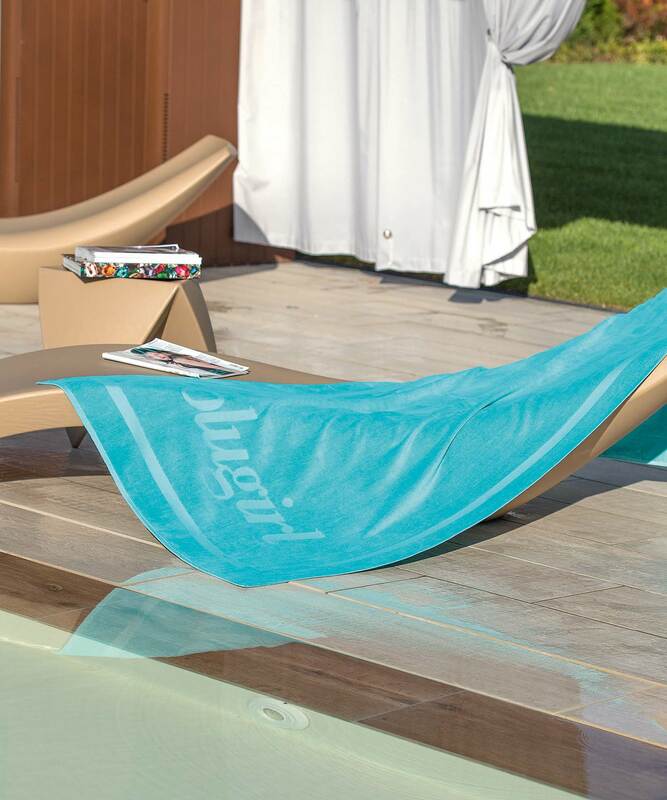 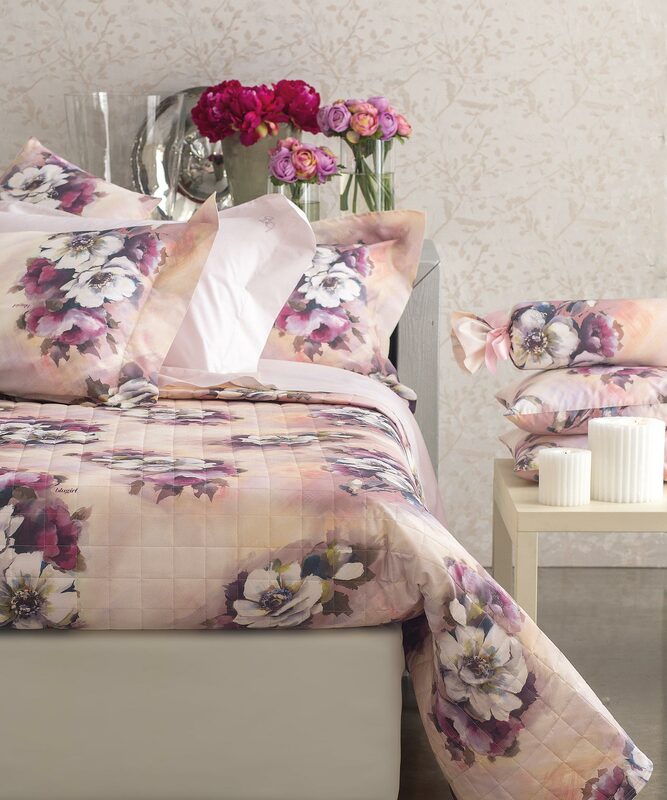 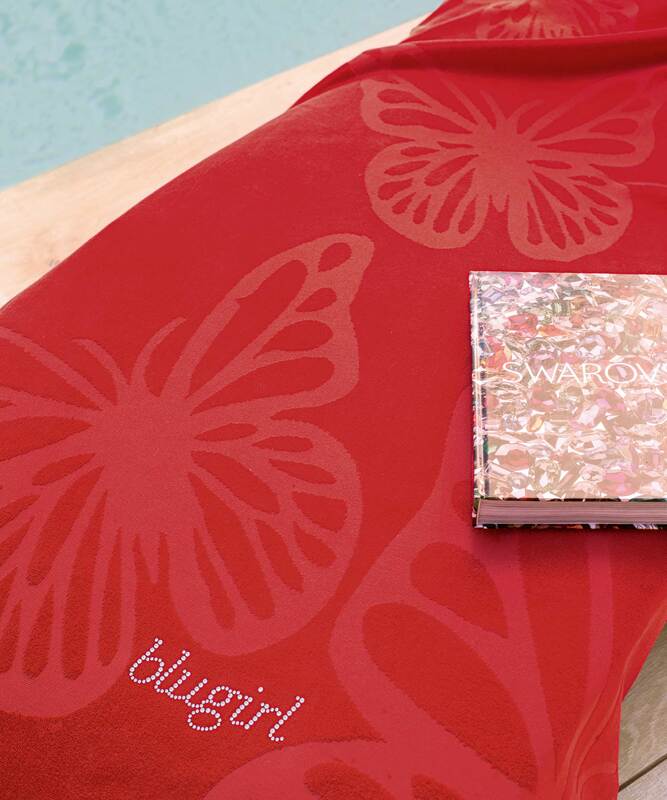 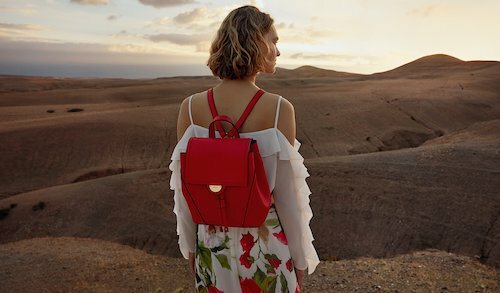 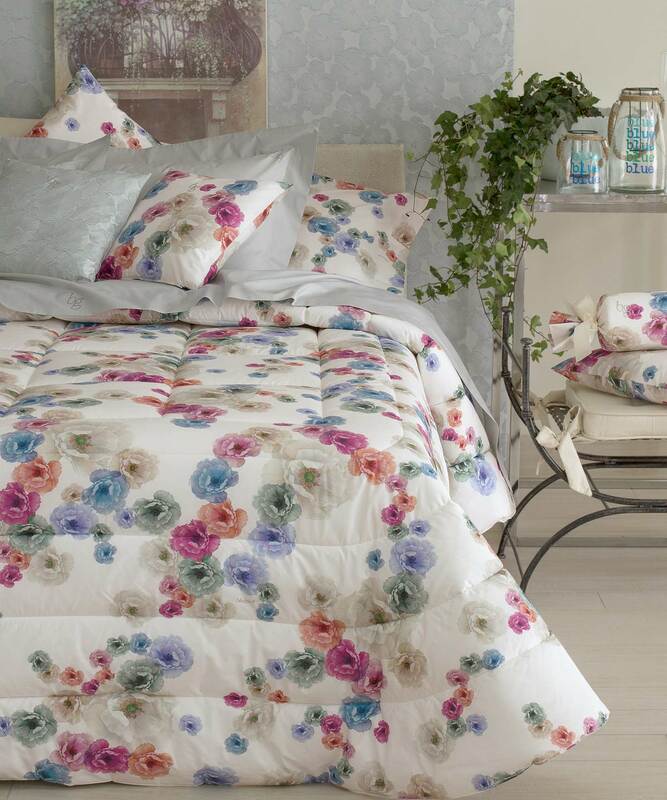 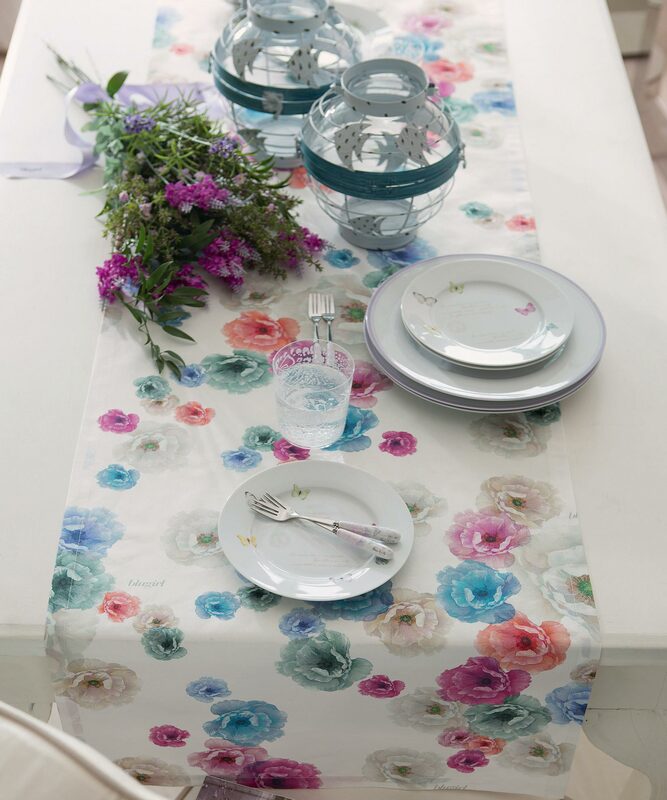 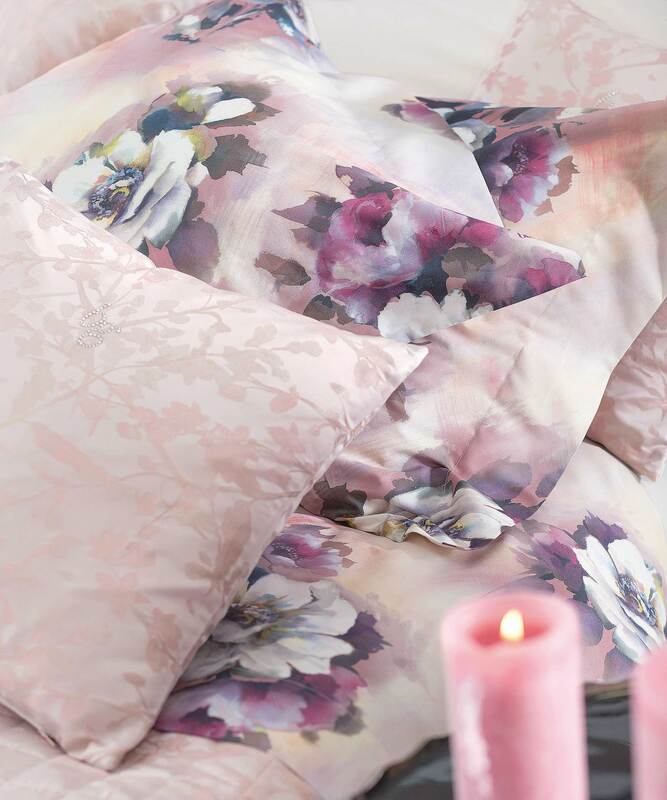 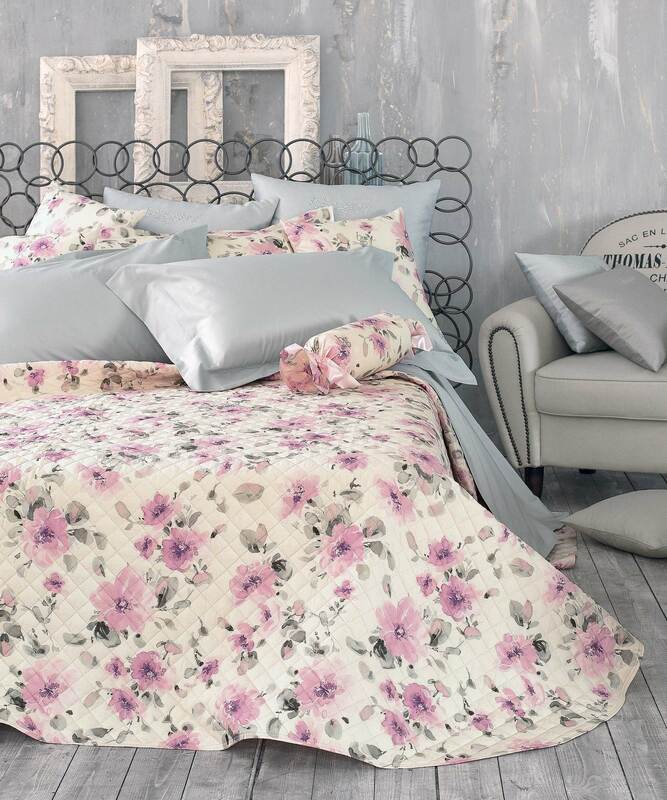 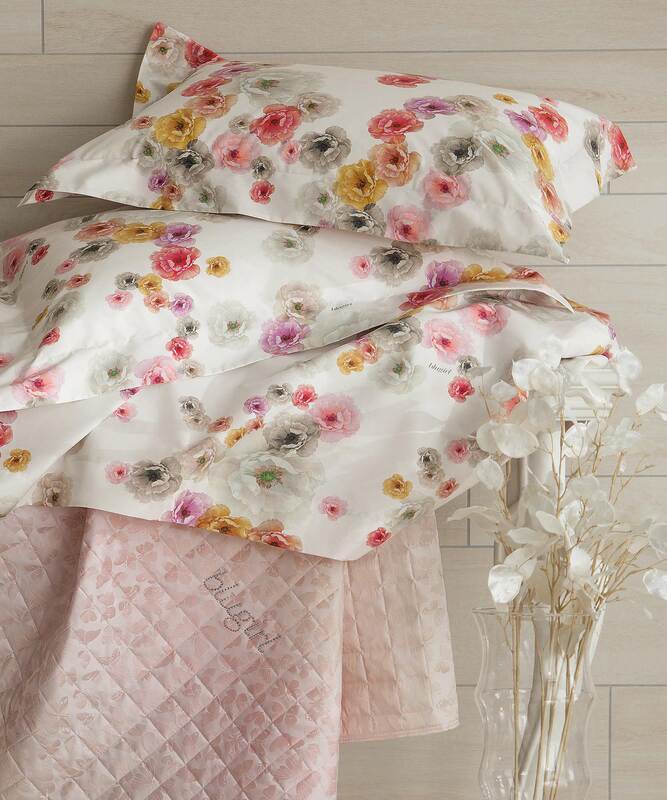 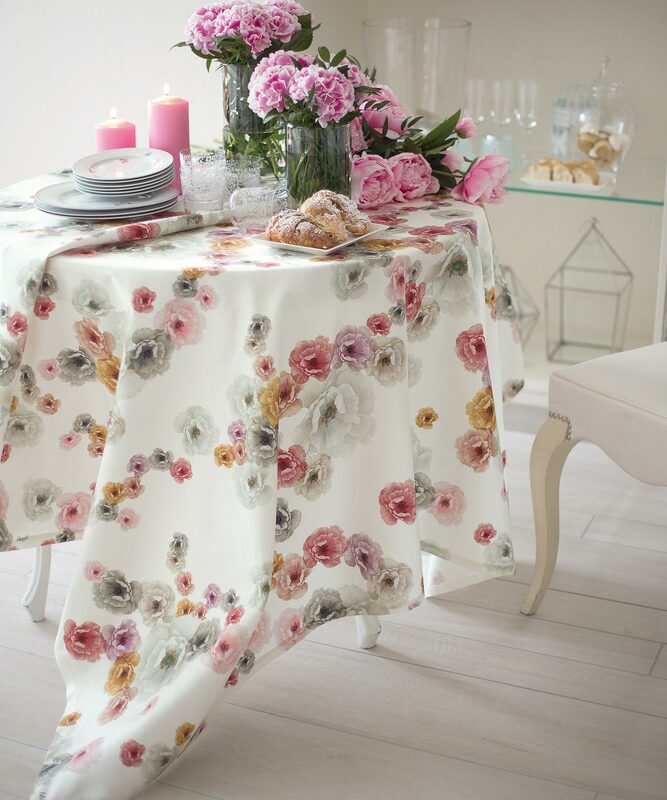 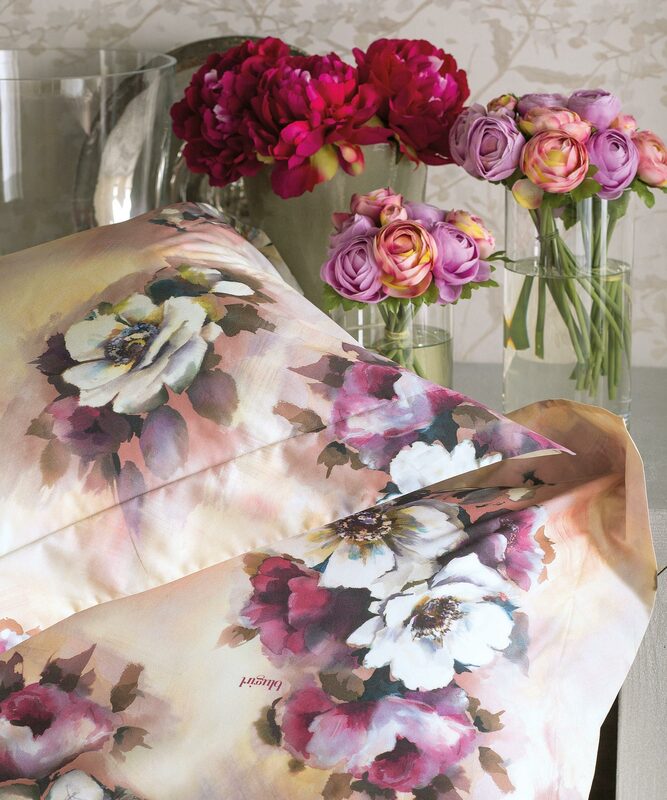 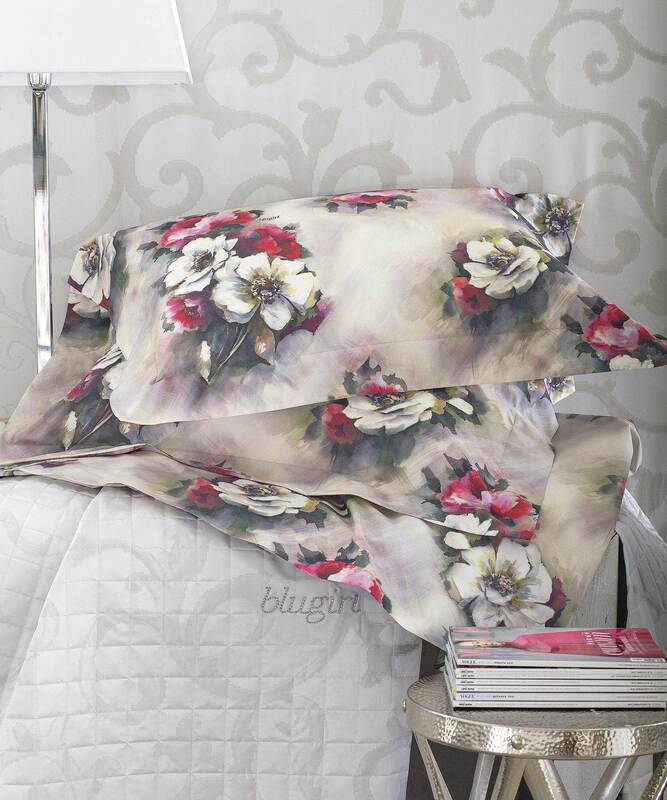 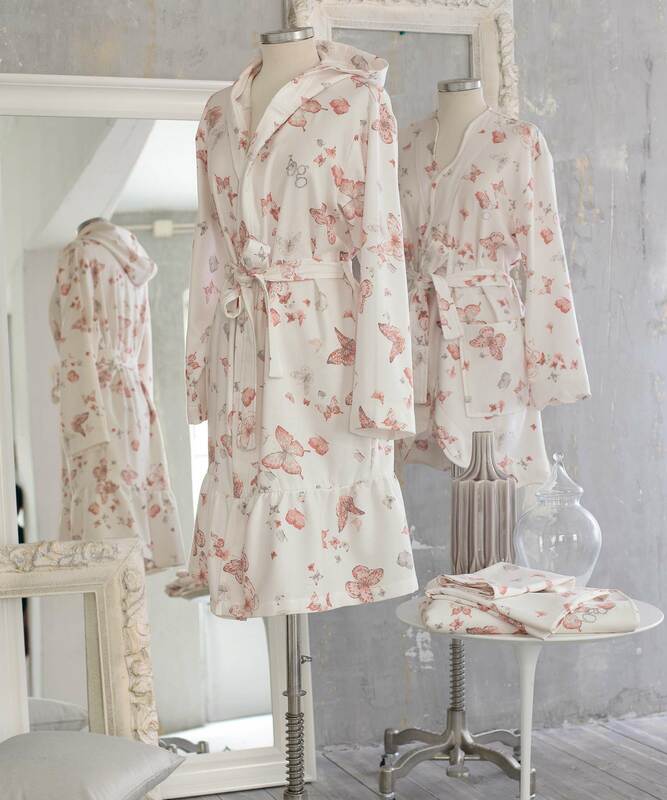 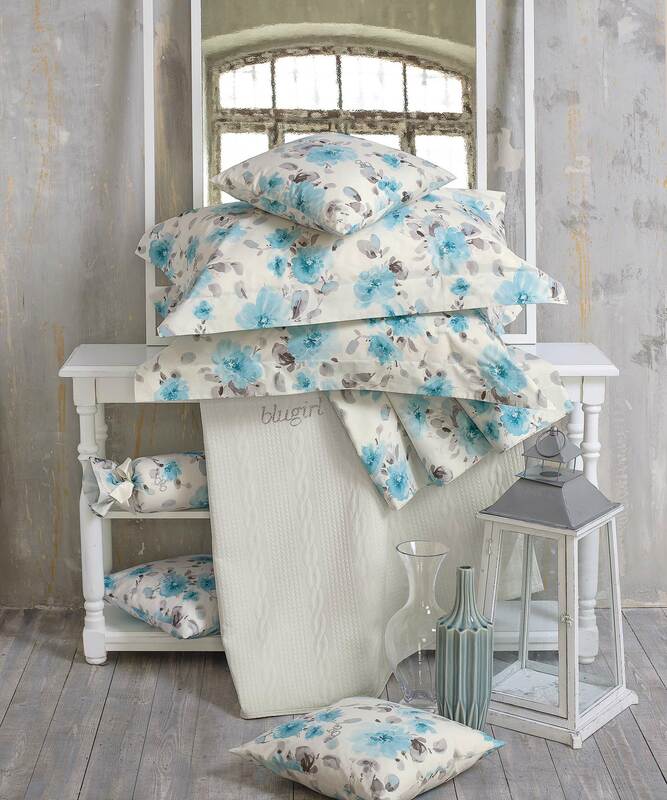 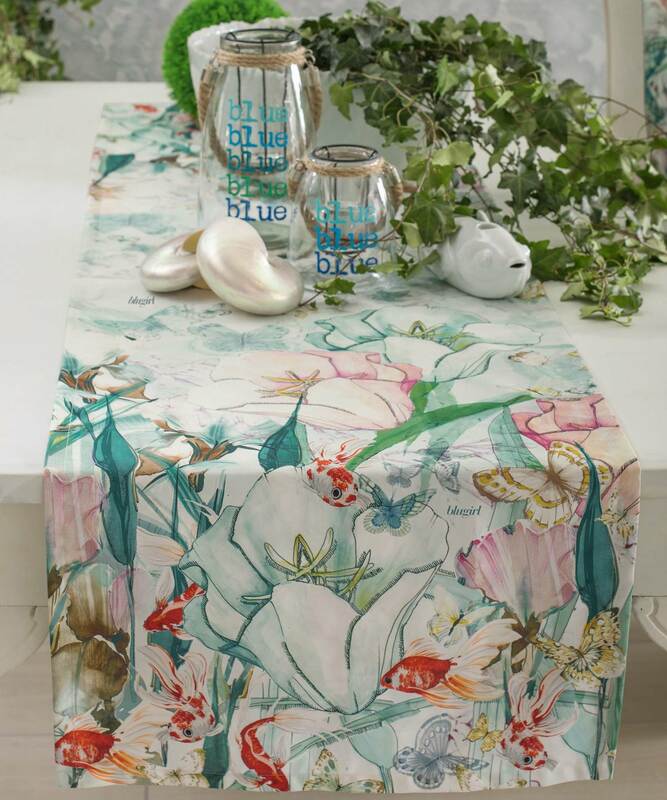 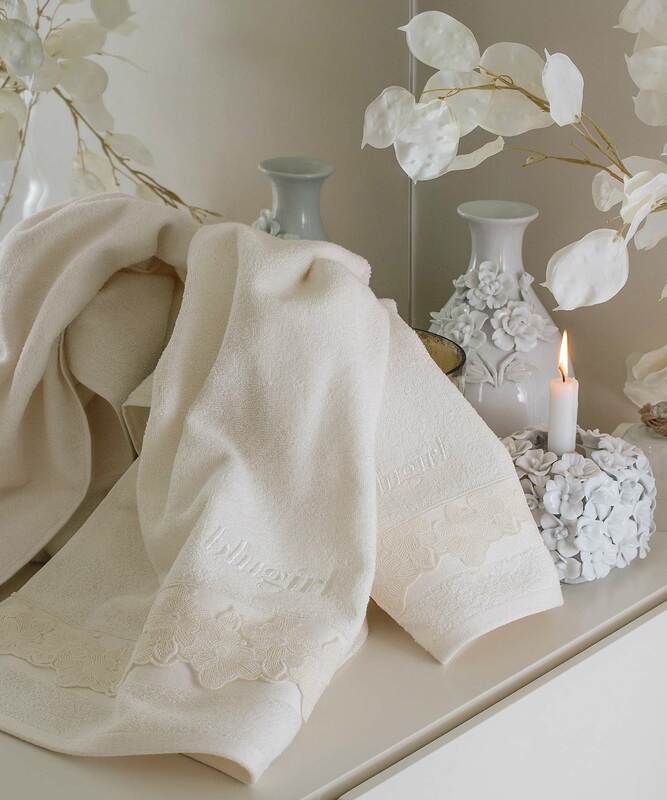 Blugirl Homeware Collection is dedicated to a lively and dreamy young woman. 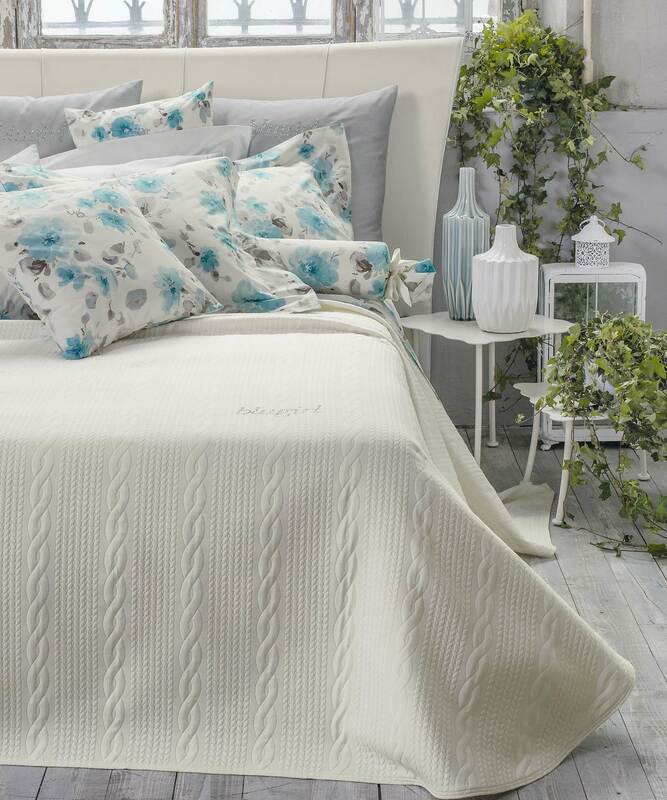 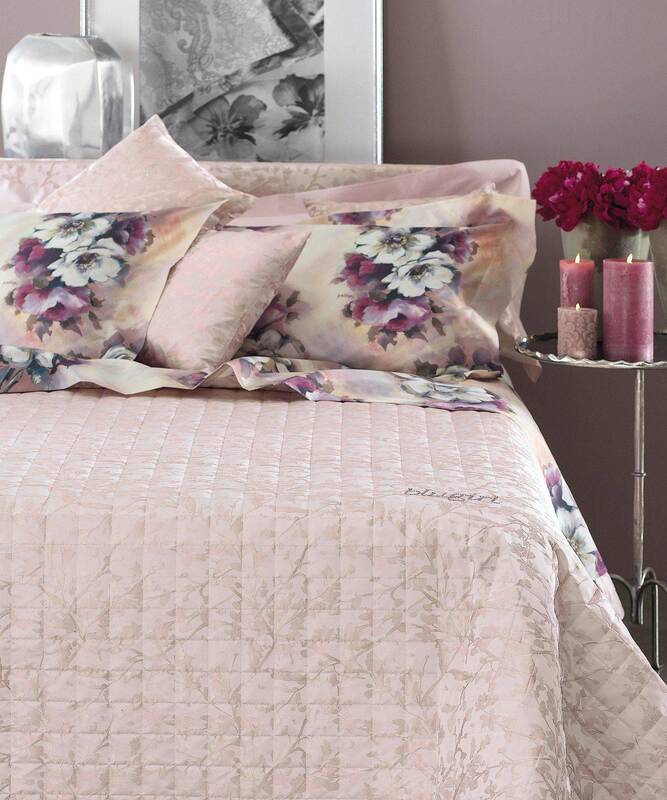 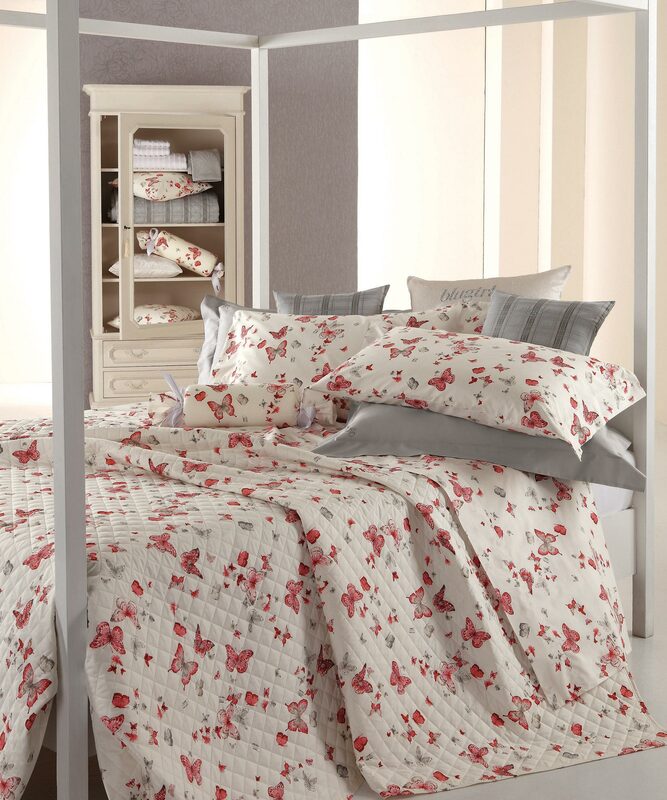 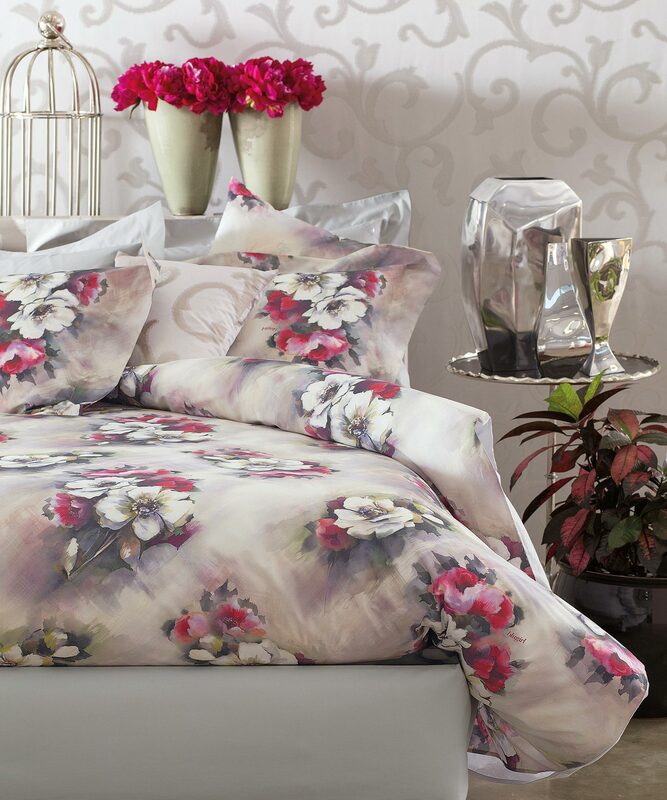 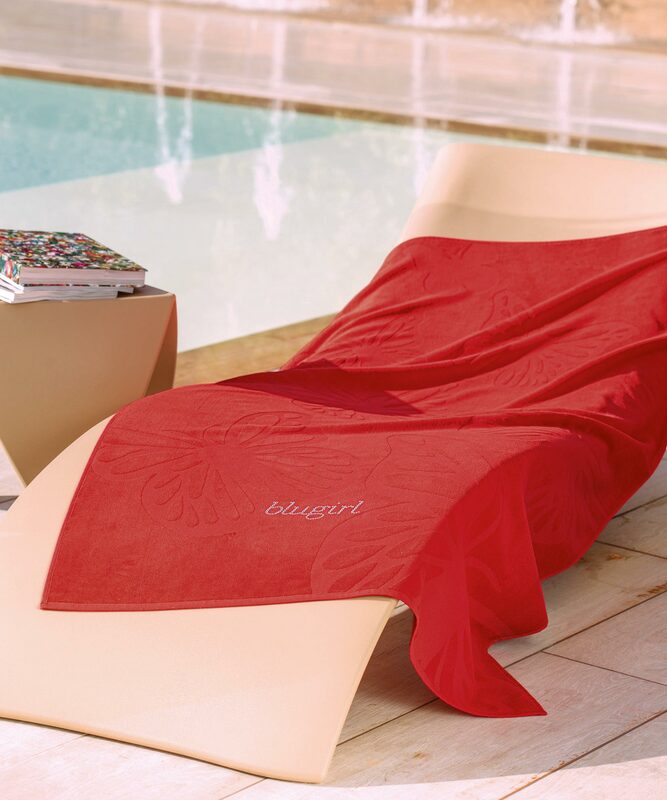 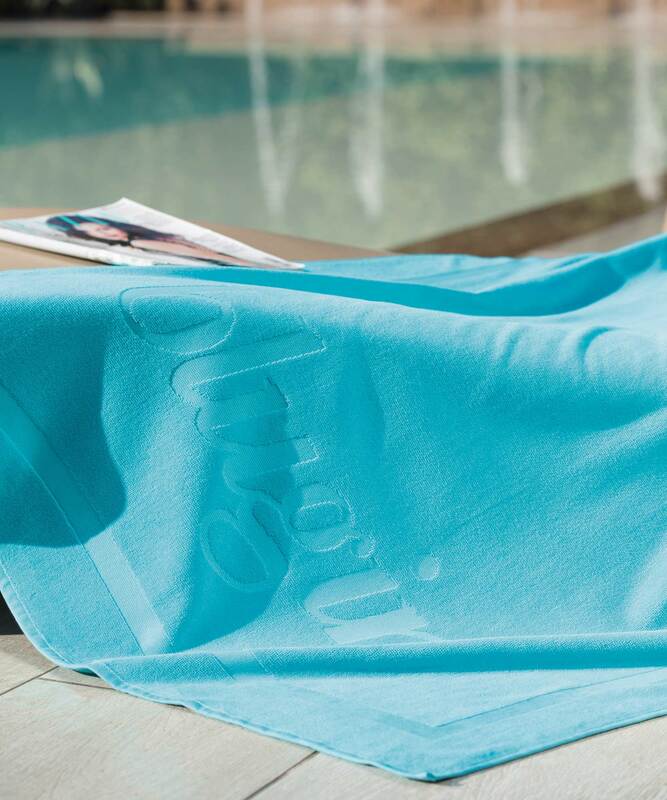 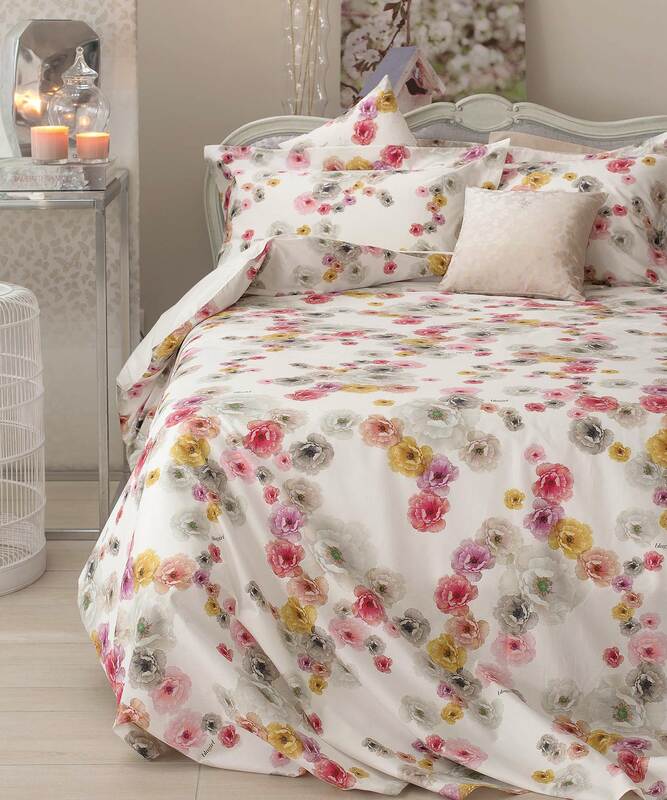 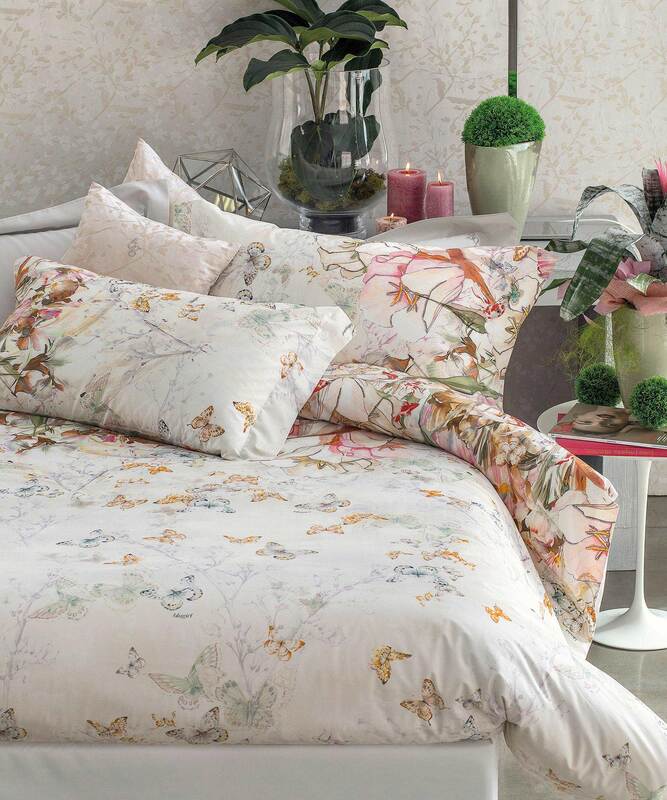 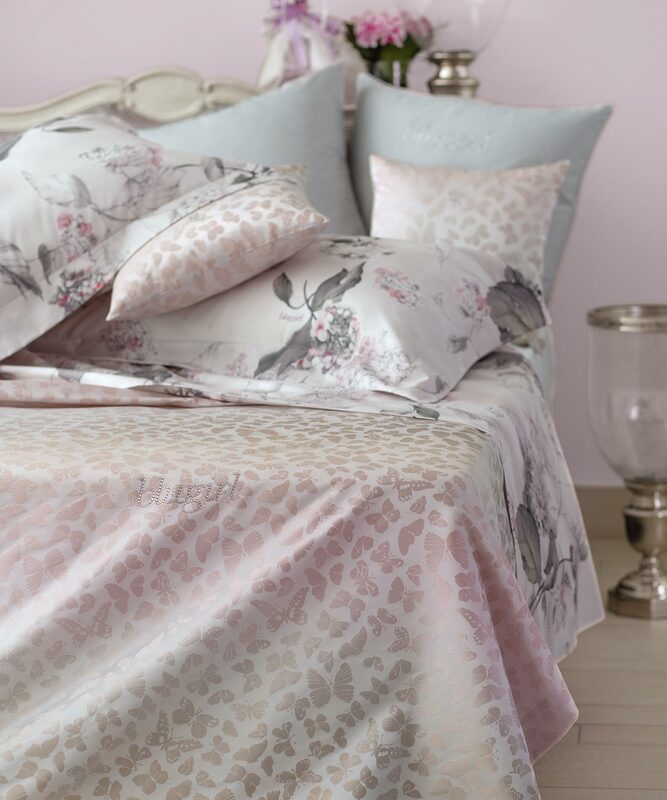 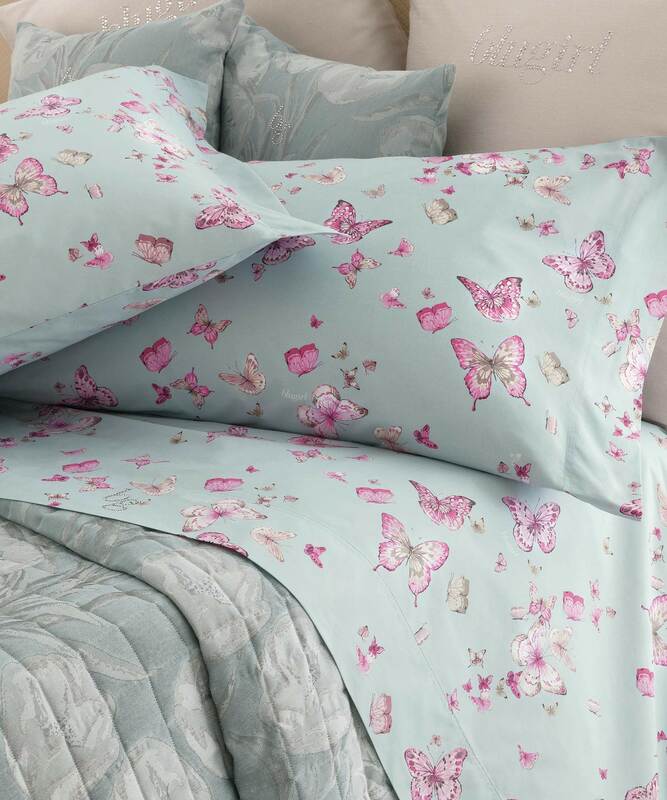 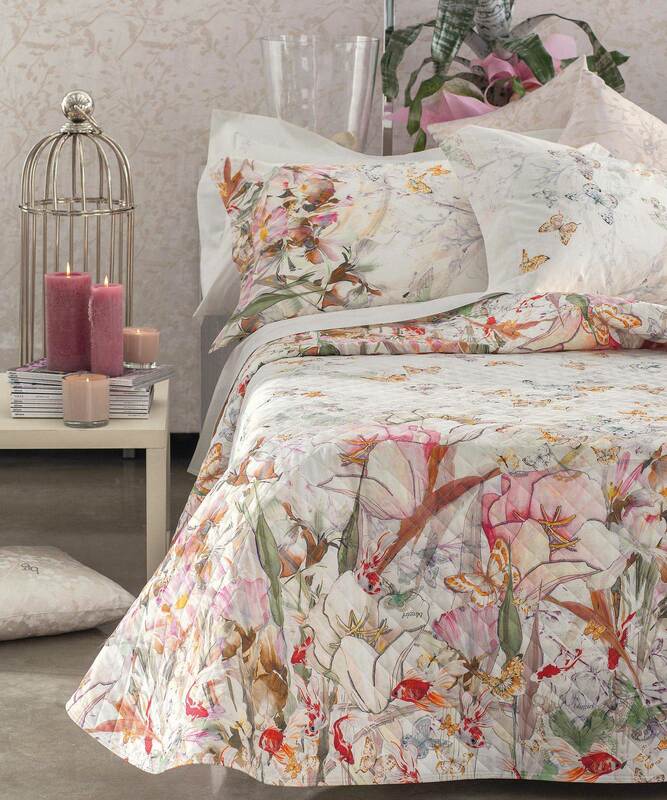 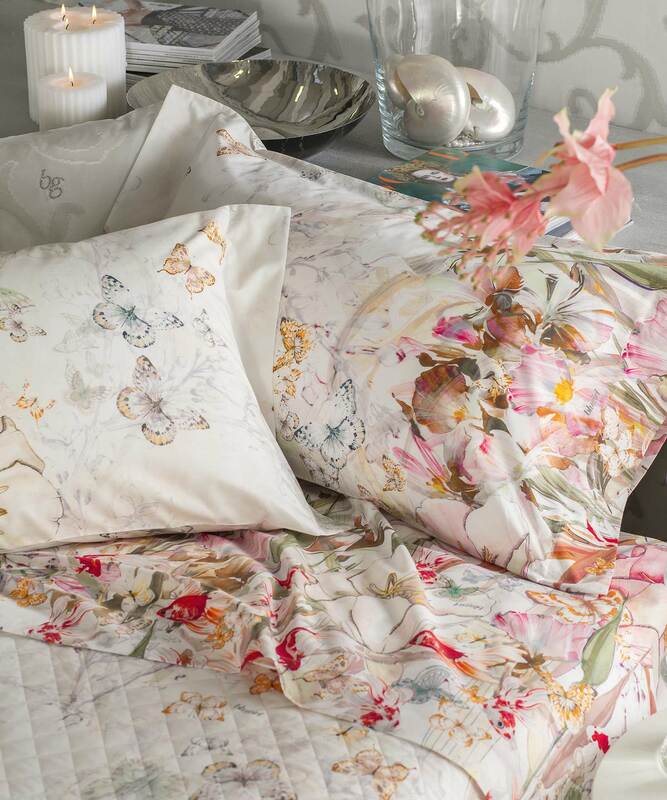 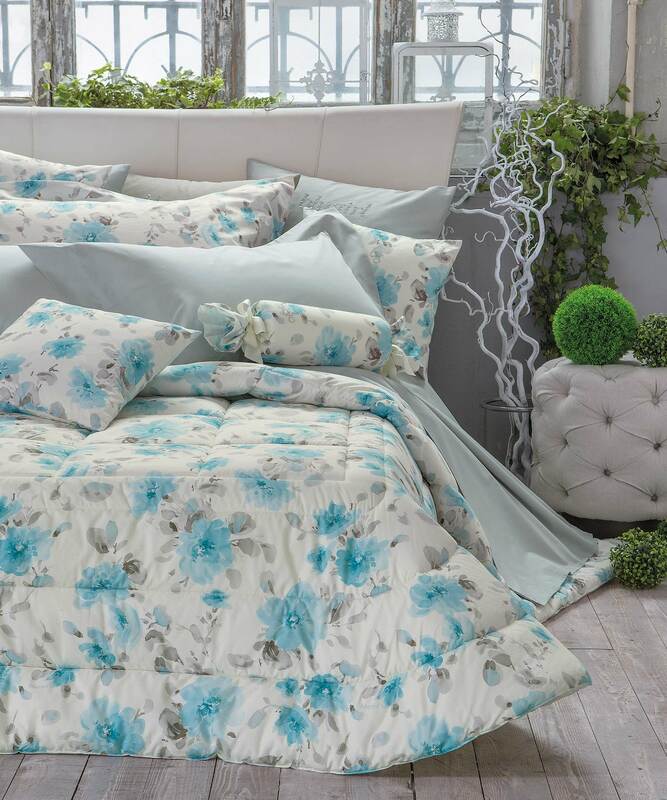 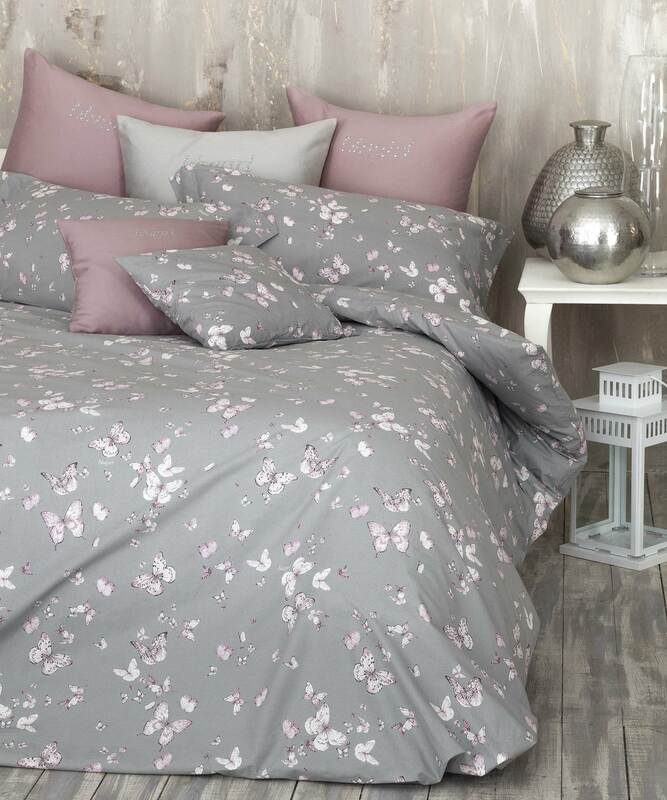 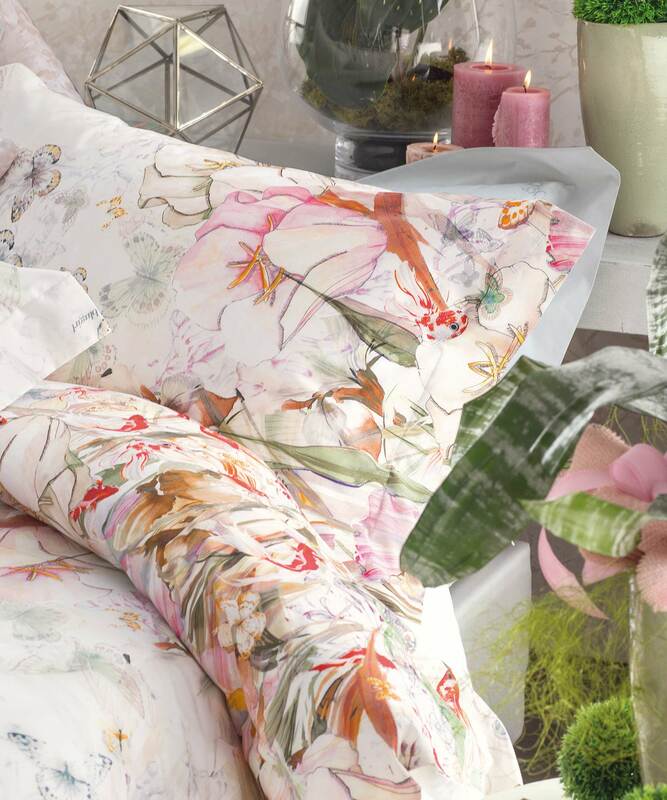 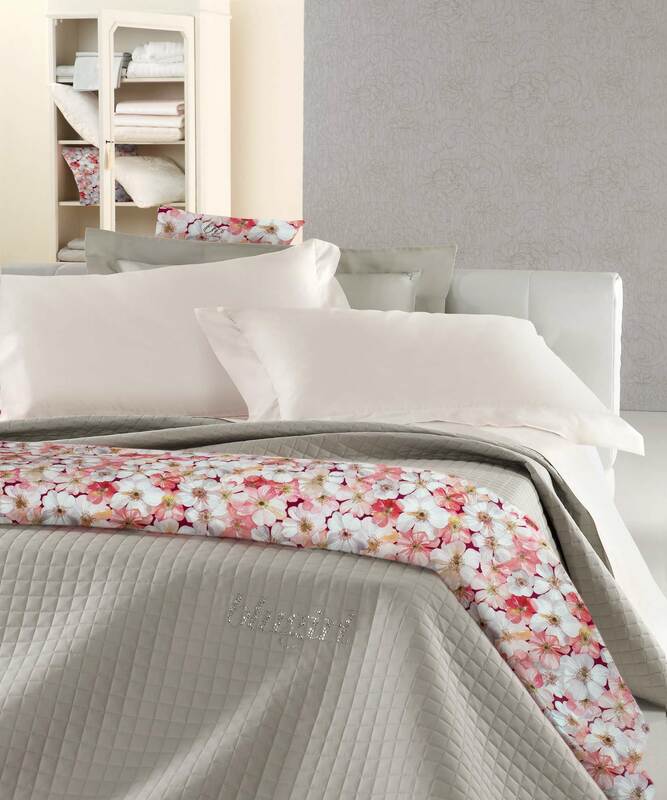 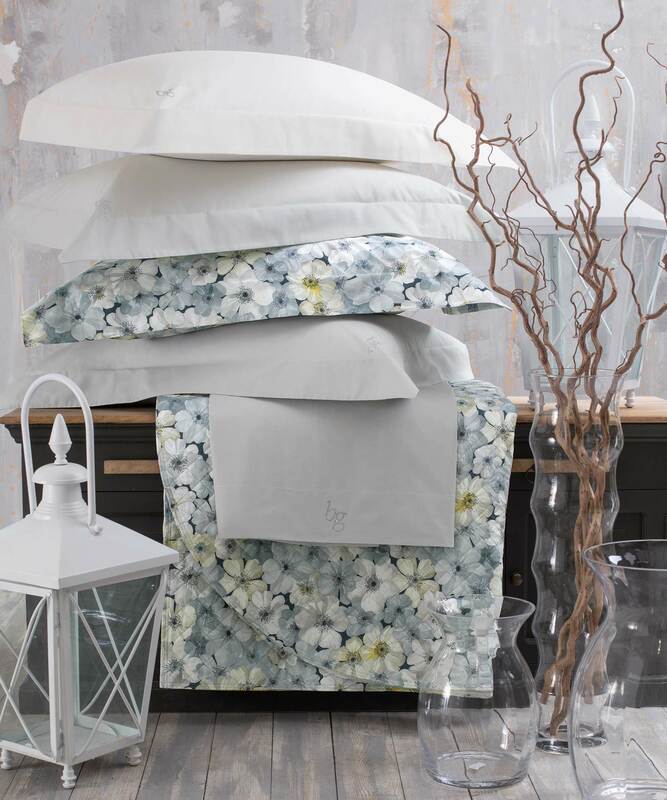 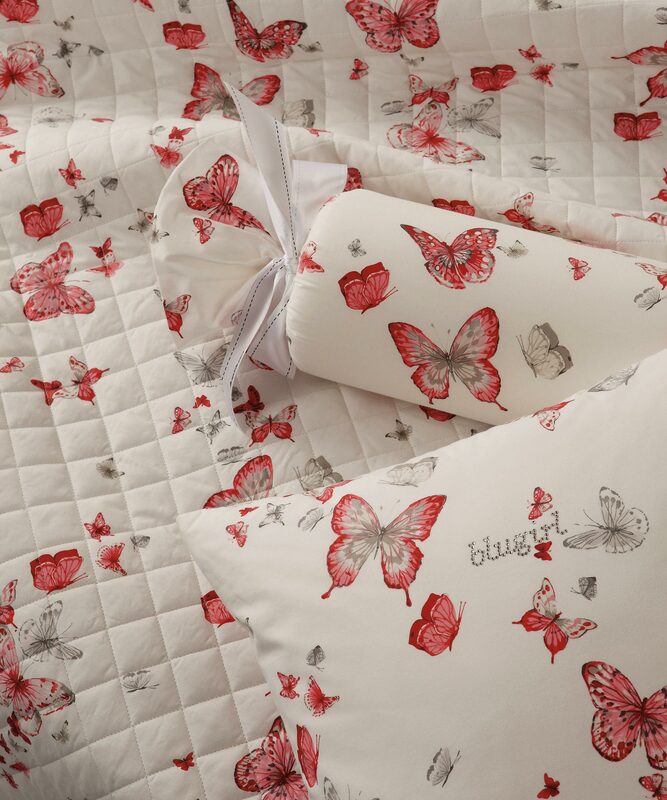 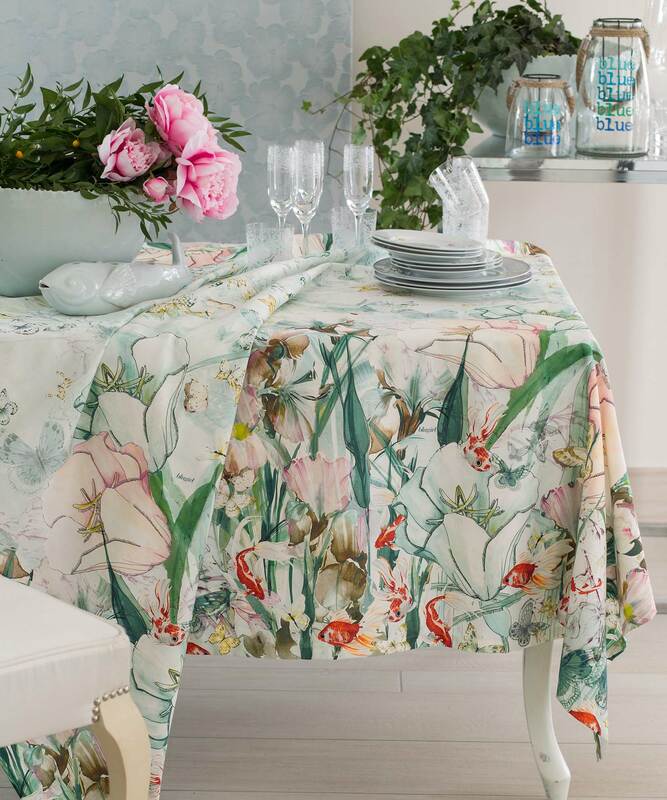 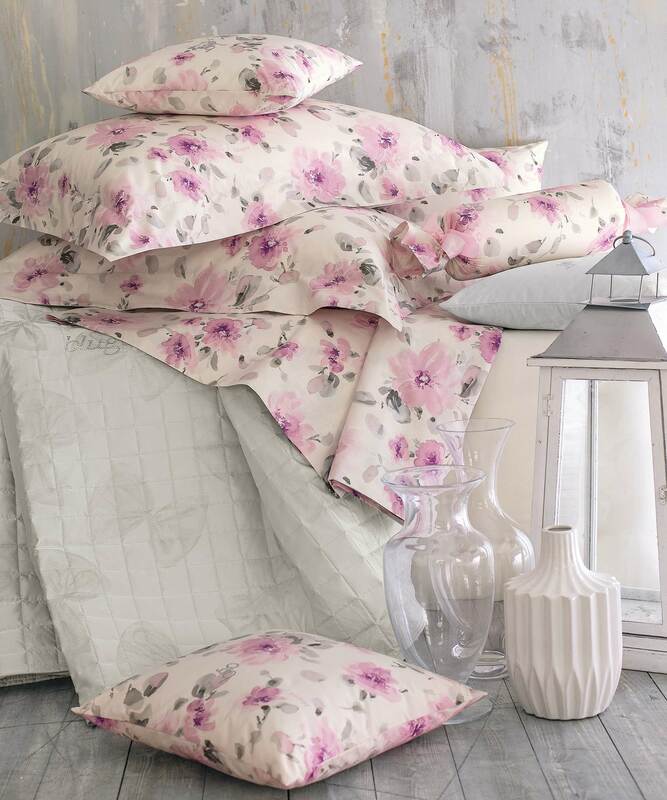 Prints of flowers, butterflies and fishes in bright colours are combined with more delicate patterns on bed sets, on quilts and bedspreads with the “Maison logo” made by crystals. 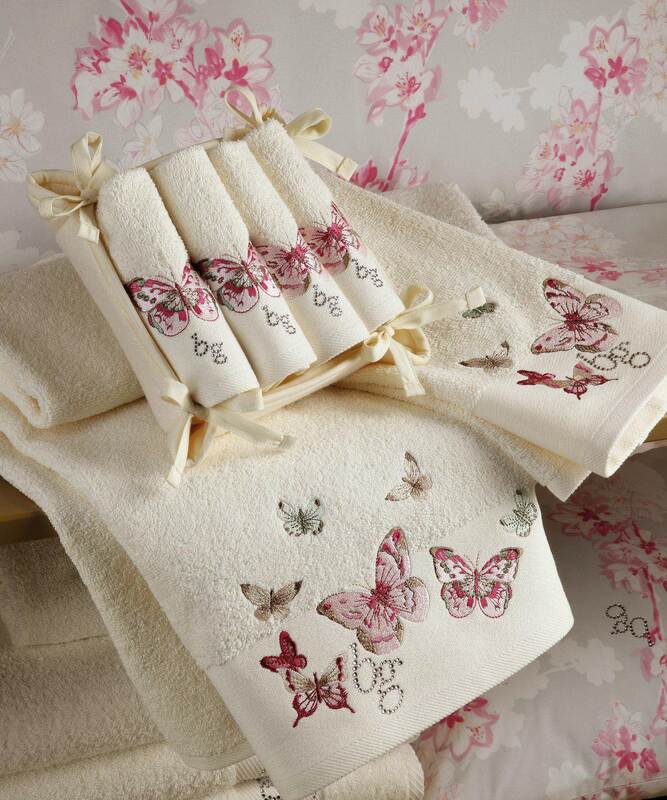 The new BLUGIRL bathroom line offers sets in precious 100% cotton, backed with towelling and crystals and embroidered or printed with floral patterns or solid colour prints with small flounces.The house of the BLUGIRL young woman is enriched with the new ART-DE-LA-TABLE: beautiful tablecloths in cotton sateen where the themes of the collection return, for a perfect mise-en-place.